Did y’all catch my YouTube video on fall investments? If you did happen to watch it, you’ll remember seeing this Clare V. clutch (along with this one)! 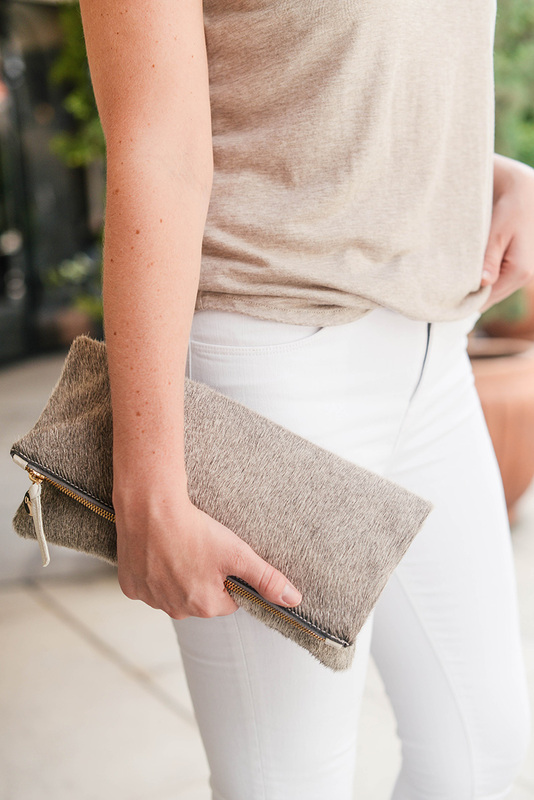 Calf-hair clutches add a luxurious touch to any outfit, which makes them one of my favorite fall investments. 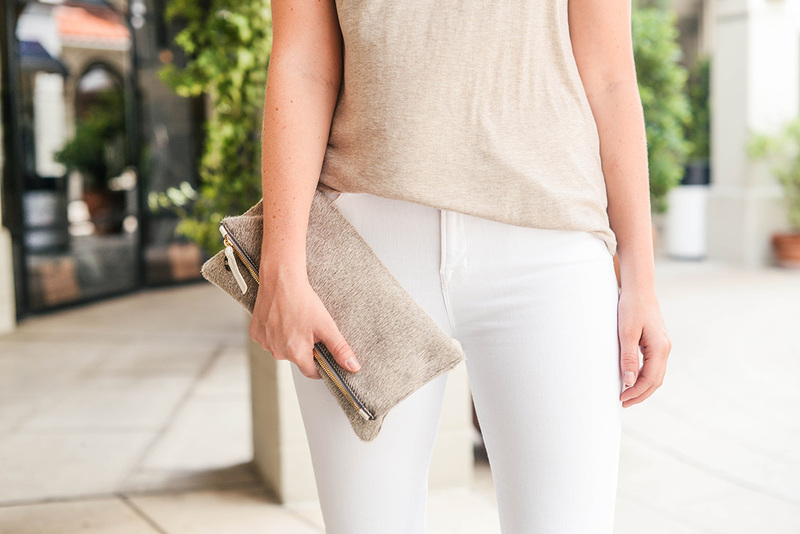 If you buy a calf-hair clutch, I recommend finding a neutral like this one I picked up in “wolf”. The grey complements all the soft, creamy neutrals in my wardrobe! It’ll create a nice contrast against black this fall/winter too. Clare V. clutches are all lightweight and thin, making them ideal for packing – even when you don’t have much room in your suitcase! They lay completely flat! I’ve always been a huge fan of Clare and her bags – I’ve had this leopard clutch since 2014! 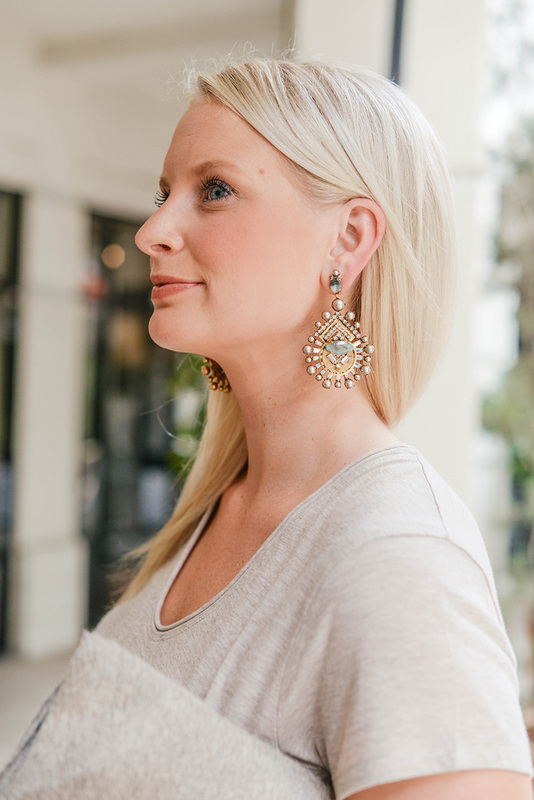 I can’t end this post without talking about these incredible earrings. Last week I received a very generous package from the Elizabeth Cole team, and I’m obsessed with every single pair! 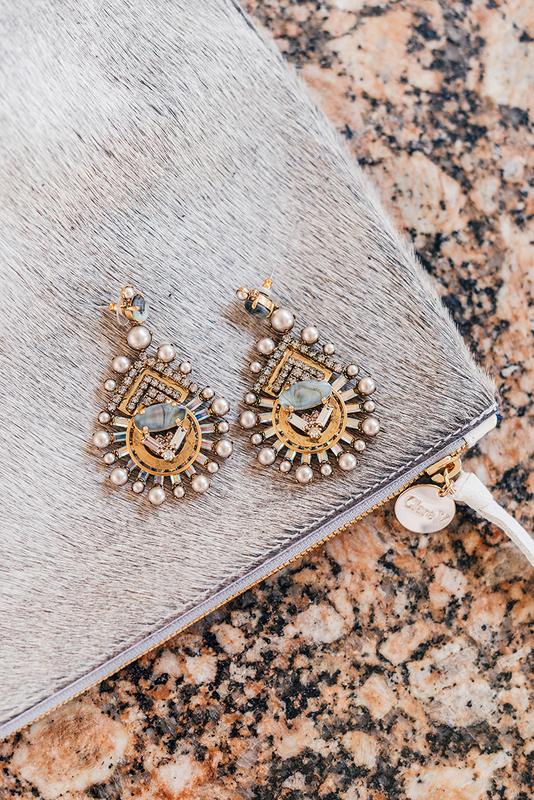 Don’t these Ava earrings look amazing with my clutch? I love the subtle color scheme. Talk about a match made in heaven! I’ll definitely be taking all of my Elizabeth Cole pieces to NYFW, so stay tuned to see how I style them! That clutch and those earrings are so perfect together! Obsessed! I love the neutral palette of this outfit. The clutch and earrings are the perfect accessories! Love this outfit Merritt, so simple but perfect for every day wear! Loveeee those earrings on you! And how they add a little something to an otherwise simple outfit…nothing like a good pop on some neutrals! Flawless look, babe! I love the colors! What a classy, beautiful outfit!